One of the most flexible and creative ways to show all types of merchandise White Mini-Grid Cube panels snap together with connectors into stackable display cubes. Choose one of our pre-configured kits or make your own display with individual panels and connectors. 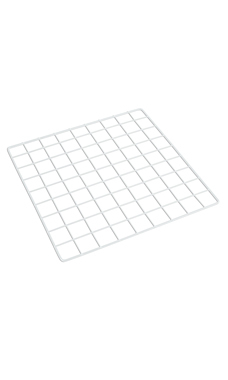 White Mini-Grid 1” OC Panel measure 14" x 14".